You have reached your limit of free weekly articles. You will receive access to another article next week. Subscribe for as low as $2.19 per week and enjoy these benefits. Daily and weekly articles, site-visits reports, feature supplements and real-time mining press releases. You will also have access to 1-year of article archives and much more. If you are already a subscriber to The Northern Miner please log in by clicking the button below. BMO Capital Markets is a leading, full-service North American-based financial services provider, with over 2,700 professionals in 33 locations around the world, including 19 offices in North America, offering corporate, institutional and government clients access to a complete range of investment and corporate banking products and services. BMO Capital Markets is a member of BMO Financial Group (NYSE, TSX: BMO), one of the largest diversified financial services providers in North America with US$614 billion total assets and over 45,000 employees as at January 31, 2019. Turn your existing operations and exploration data into an intuitive, interactive experience. Showcase property boundaries, resource shapes, underground workings and future development plans directly within your virtual tour. Bonterra is a Canadian gold exploration company with a large balanced portfolio of exploration and mining assets including the Gladiator, Barry and Moroy deposits, Urban-Barry Mill and multiple highly prospective exploration prospects. Bonterra controls the only permitted gold mill in the region with a large land position of approximately 20,815 hectares in the Urban Barry Camp. Bonterra is located in the mining-friendly province of Quebec, within the Abitibi Greenstone Belt, advancing to the completion of a company-wide updated NI 43-101 Mineral Resource Estimate in Q4 of 2018. McCarthy Tétrault is an internationally-focused premier full-service Canadian law firm. Our Global Metals & Mining Group has been at the forefront of multi-jurisdictional M&A, alternative financing structures, major project developments and high stakes litigation. We blend a deep bench of top-tier lawyers experts with significant industry experience and a relentless focus on achieving business objectives, managing risk and delivering value for our clients. We are trusted advisers to many of the global majors and our broad client base includes mid-tier and junior mining companies as well as streamers, lenders, private equity, strategic investors, traders and SOEs. From our offices in Canada, London and New York, our regular on-the-ground presence in Latin America and West Africa and our global network of relationships, our lawyers routinely work across borders, in several languages and provide advice under both common law and civil law regimes. Orefinders is focused exclusively on the development of advanced stage gold projects in Canada’s Abitibi. The Company currently owns assets in three distinct camps including the Mirado, Knight and McGarry Projects, which are all within 70KM of Kirkland Lake, Ontario. Power Ore is Orefinders’ cobalt and battery metal spin off company, which is fully financed and scheduled to be listed on the TSX Venture in May 2018. 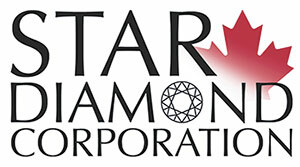 Star Diamond Corporation (“Star”) is a Canadian-based corporation publicly traded on the TSX under the trading symbol “DIAM”. During 2015, the Company published an NI 43-101 compliant Mineral Resource estimate for the Star – Orion South Diamond Project located within its 100% held mineral dispositions located in the Fort à la Corne forest. These are the world’s largest diamond bearing kimberlites located in central Saskatchewan in close proximity to major mining supply centres, excellent highway systems, and access to hydro-electric power supply. Balmoral Resources is a well-funded, gold-focused Canadian exploration and development company whose fl agship 1,000 km2 Detour Gold Trend Project is located in the Abitibi greenstone belt of west-central Quebec, immediately east and overlying the host structure of the 20M+ ounce Detour Lake Gold Mine. Employing an aggressive, drill-focused exploration style in one of the world’s preeminent geological and mining jurisdictions, Balmoral is following an established formula with a goal of maximizing shareholder value through the discovery and defi nition of high-grade, Canadian gold and base metal assets. Monarch Gold Corporation (TSX: MQR) is an emerging gold mining company focused on pursuing growth through its large portfolio of high-quality gold projects in the Abitibi mining camp in Quebec, Canada. The Corporation currently owns close to 300 km² of gold properties, including the Wasamac deposit (measured and indicated resource of 2.6 million ounces of gold), the Beaufor Mine, the Croinor Gold, McKenzie Break and Swanson advanced projects, the Camflo and Beacon mills, as well as five promising exploration projects. It also offers custom milling services out of its 1,600 tonne-per-day Camflo mill. PearTree Securities is a subsidiary of PearTree Financial Services Ltd., the originator and leading provider of flow through share donation financing (FTSDF) services in Canada. Since its inception, PearTree has deployed over $1 billion of flow through capital and provided issuers with long-term institutional and strategic investors. Our unique platform offers previously unavailable opportunities for global investment to finance resource exploration and development while maintaining the benefits of premium pricing / lower dilution for an issuer associated with flow through share transactions. With a veteran in-house team of investment, mining and legal professionals, PearTree Securities has a strong network of Canadian issuers, institutional and strategic investors including major gold producers and private equity funds. PearTree’s large philanthropic subscriber base, in addition to our expertise in the resource sector, has enabled us to become the leading provider of flow through financings for mining companies. 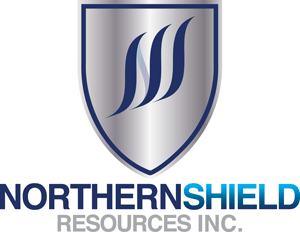 Northern Shield Resources Inc. is a Canadian-based company known for generating high-quality Ni-Cu-PGE exploration targets and executing grass roots exploration through a model driven approach. Utilizing this method through its wholly-owned subsidiary, Seabourne Resources Inc., it has recently discovered a low sulphidation epithermal gold system at the Shot Rock Property in Nova Scotia. This is the first time that such a system has been found in the province. Low sulphidation systems are highly prized for their potential to host “bonanza” gold grades. Results from early exploration suggest a very large foot-print and all the indications of a long-lived and active system. The discovery was made within a few hundred meters of the Trans-Canada Highway, a power-line and a railway. The discovery exemplifies that mineral potential of under-explored Nova Scotia. Established in 1996 in Sudbury, Ontario; Hard-Line is a leading supplier of automation, tele-operation, and remote-control technology to the mining industry. Hard- Line develops its products from the ground up, utilizing years of experience in mining, electronics, electrical design, and mechanical design. Hard-Line has new and innovative products that save lives while increasing efficiency. No matter what type, make, or model of machinery, Hard-Line can configure it to operate remotely. Hard-Line’s strength lies in the ability to customize products and services to each client’s needs. Hard-Line is a global company with branch offices in Chile, Peru, and the U.S.A., along with a worldwide distribution network. Major Drilling Group International Inc. is one of the world’s largest drilling services companies primarily serving the mining industry. Established in 1980, Major Drilling has over 1,000 years of combined experience within its management team alone. Major Drilling maintains field operations and offices in Canada, the United States, Mexico, South America, Asia, Africa and Europe. Major Drilling provides a complete suite of drilling services including surface and underground coring, directional, reverse circulation, sonic, geotechnical, environmental, water-well, coal-bed methane, shallow gas, underground percussive/longhole drilling, surface drill and blast, and a variety of mine services. Over the years, the Company has positioned itself as one of the largest specialized drilling operators in the world by leveraging its main competitive advantages: skilled personnel, specialized equipment, robust safety systems, long-standing relationships with the world’s largest mining companies and access to capital. This positioning is strengthened by the Company’s senior management having experienced several economic and mining industry cycles. modernize our fleet with innovation and expand our footprint in strategic areas. 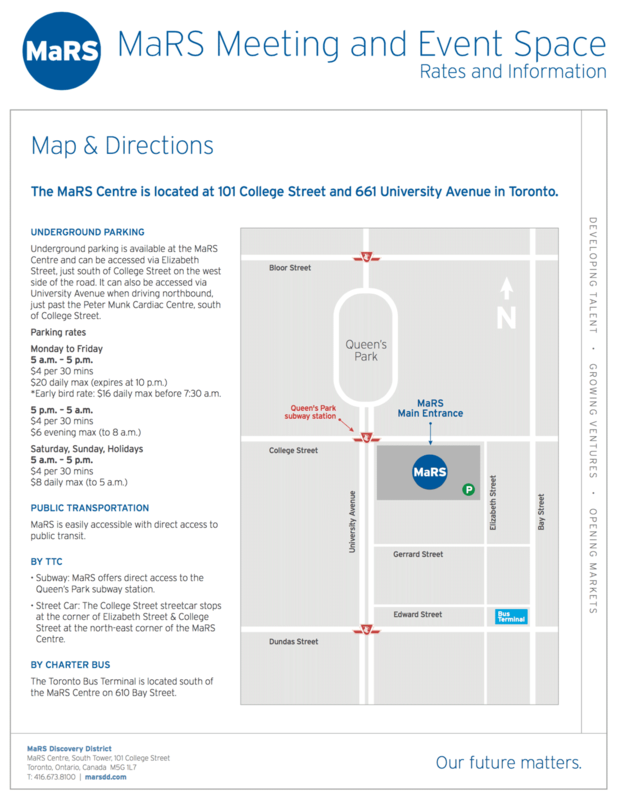 Major Drilling’s common shares trade on the Toronto Stock Exchange under the symbol MDI. Being a world-class gold producer means collaborating with our partners to achieve our vision of Together, Creating Sustainable Value. We’re constantly looking for ways to innovate – to be safer, more productive and responsible in the way we conduct our operations. We believe that our business should create economic and social benefits, and that the places where we mine should be better off because of our presence in those communities. Be Safe. Make sure every one of our people goes home safe at the end of every shift, and that our mines are Safe Enough for our Families. Be Productive. Deliver consistent, reliable financial and operational performance by ensuring our asset portfolio is world-class, sustainably developed, and operating to the highest standards of excellence. Be Responsible. Do the right thing and honour our commitments. Be respectful and ethical, and invest in the well-being of our people, our communities and our planet. The Cementation Group continues to evolve and encompass a larger scope of the project life cycle. Recognized globally as a design-build contractor for underground work we have expanded our capabilities with the addition of Cementation AG (above ground) and Merit Consultants International (construction management) with the goal of improving project delivery in all phases of your project. Cementation continues to innovate and implement ways to improve safety and increase efficiencies while reducing capital costs and project schedule. Developing safe methods for working in high temperature environments or hoisting systems such as Borehole Hoisting and Injection Hoisting for transporting ore to surface are just a few examples of our ongoing commitment to innovation. GE Transportation helps move the world and improve the world, as a global technology leader and supplier of equipment, services and digital solutions to the rail, mining, marine, stationary power and drilling industries. GE Transportation’s innovations help customers deliver goods and services with greater speed and savings using advanced digital solutions, manufacturing techniques and connected machines. The company employs approximately 9,000 employees worldwide. Breaker Technology (BTI) is the rockbreaking expert in the mining and quarrying industries. For nearly 60 years, BTI has been helping companies power their productivity and break into profitability. BTI is known worldwide for their exceptional Rockbreaker Systems. They offer twelve different model series with over 300 boom-to-breaker combinations for breaking oversize at primary crushers, grizzlies, draw points, and stopes. All rockbreaker systems are custom fitted to the mine or quarry application for maximum endurance. Manufacturing and distributing a wide-range of underground mining vehicles has always been one of the core products in BTI’s product line. Their latest design, the ScaleBOSS 3D/3DE scaler, is a cutting-edge machine for a new generation of underground mining. BTI’s Mine Runner, a purpose-built utility vehicle, recently received an overhaul to increase its payload capacity from 4,000 to 6,000 pounds, and a new extended wheel base model was added to the lineup. Situated along the Southern Georgian Bay in Thornbury, Ontario, BTI has been innovating custom sales and dealer network engineering solutions since 1958. Its highly qualified sales and dealer network supplies and services mining and aggregate equipment worldwide. BTI offers a depth of engineering experience, a dedicated and professional service and support network and a commitment to superior customer service, remaining a trusted brand in today’s aggregate and mining industries. PwC provides mining companies with assurance, tax, consulting and deals services. For more than 100 years, we’ve used our knowledge and experience to develop tailored solutions for our clients, helping them build public trust and deliver the value they’re looking for. We work with 5800 partners and staff across Canada and belong to a trusted network of advisors worldwide. Peak Power is an Energy Storage Services provider that has developed industry leading software to optimize the operation and maximize savings from these systems. We offer a “no-cost” option for our customers using a shared-savings approach to ensure we have aligned interests. We also offer targeted Global Adjustment notification services to minimize downtime in responding to peak events. Over the 2017-2018 Global Adjustment season, Peak accurately forecasted all five system peaks within a 1-hr window and was the first company in Ontario to discharge a battery during these peak moments. We currently have four systems in operation including 3 in ON and 1 in NY. Peak is backed by the family office of David Thomson, Chairman of Thomson-Reuters, and is working with Google’s Sidewalk Labs to develop the world’s largest Transactive Energy project here in Ontario. Canvass Analytics is a leader in automating intelligent industrial operations through its AI-powered predictive analytics platform. Canvass provides an enterprise grade platform for industrial customers to implement and scale automated industrial operations in a matter of days, using its pre-built predictive models pipeline. Today, Fortune 500 companies are using the platform to automate complex production processes, generate new revenue streams and create new markets by producing higher grade products. Canvass Analytics’ customers include leading automotive, aerospace, energy, and food and agriculture companies globally. Canvass Analytics is enabling metals and mining companies to leverage predictive analytics to reduce O&M costs and improve production. Energy consumption and production is optimized while overall product quality is improved. For example, a Fortune 5000 metal and steel manufacturing customer is able to improve the process of producing integrated iron and steel. With Canvass Analytics’ AI-powered analytics platform, the manufacturer is able to predict the quality of production, reduce associated waste, improve cost of production and meet evolving sustainability needs of the business. Peytec is a Smart Industrial Internet of Things (IIoT) and make hyper-accurate “Indoor GPS” and sensing systems with applications in inventory tracking, asset management, and real-time quality control. Peytec mainly serves the industrial space such as manufacturing, mining, and agriculture. Peytec’s featured product is the Smart Inventory Management System (SIMS). The SIMS is a hyper-accurate “Indoor GPS” and sensing system that tracks the exact location of asset/inventory/people in indoor environments in real-time in addition to sensing critical data with its unique modular sensing design. The modular sensing capability means many types of sensors can be attached to Peytec’s “Super Tag” by simply plugging them to the Super Tag connectors. Super Tag supports many types of sensors such as temperature, moisture, light intensity, relative humidity, pressure. Peytec’s Super Tags can support other types of sensors too. Peytec’s SIMS solution is map based and asset/inventory locations are displayed on a map in real-time. It is also a web-based battery efficient, mobile, and wireless solution that monitors inventory, asset, and quality in real-time 24/7. It sends alerts such as text messages and emails as well. It can also be customized to track safety and security. This system has a compact antenna design which makes Peytec’s Super Tags small and reliable. These tags are perfect for real-time and remote muck tracking/tracing from the point-of-origin all the way to the surface. As the global energy grid moves to higher penetration levels of renewable energy, there will be an exponential increase in demand for low-cost, long-duration energy storage. This is the market targeted by e-Zn, the first company in the world to “metalize” electricity. The company’s zinc-based energy storage system can be up to 80 per cent less expensive than comparable lithium-ion systems for long-duration applications. Importantly, its energy storage system can cycle without degradation in capacity. It is also fire resistant, made of fully recyclable materials, does not rely on precious metals, and has fast response time. e-Zn is currently targeting the off-grid market, with a focus on the mining sector. IMP Automation is much more than a lab automation company. We challenge conventional sample processing techniques to engineer and deliver ground-breaking and innovative automated sampling, sample preparation, analysis and tracking solutions. Our new ControlTrack software is an example of how we are meeting the potential of the “Internet of Things” (IoT). This program enables on-site, real-time equipment maintenance through the use of VR headsets, live connectivity with experts worldwide, and a pre-populated database of components. Further, ControlTrack enables the centralized management and optimization of all of a company’s laboratories from one location if desired. 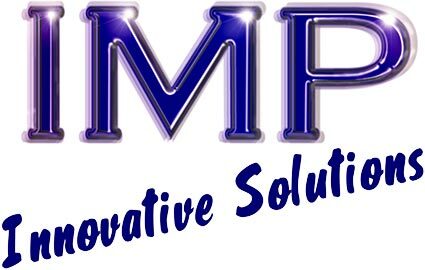 IMP continues the use of cutting-edge technology, the best equipment available in the world, and customer collaboration to deliver delivers products and systems that improve health and safety for laboratory personnel, improve precision and accuracy of results, and improve laboratory efficiency. IMP has a portfolio of patents and operations in South Africa, Australia, Canada, U.S., Mongolia, Chile and Brazil, with over 200 employees globally. From small to large operations, we can offer wet and dry sampling components; conventional, IR and microwave drying; a range of crushers, splitters and dividers; automated pulverizing units; particle size measurement solutions; automated fire assay and base metal fusion system; inline or online analysis; and delivery of mobile or modular lab facilities. From manual to fully automated solutions, talk with IMP first for what’s next. For more than 150 years, Sandvik has remained committed to developing the most advanced engineering solutions. From the first steel products to today’s automation, we’ve always strived to develop world-leading solutions that add value to your business. Our strength is in our customer relationships. We spend a lot of time with you in mines and quarries around the world, so we understand your never-ending push to increase productivity and cut costs. Whether in an up market or a down cycle, we’ll continue developing technologies, such as automation and electrification, that meet the ever-growing needs of the mining industry in terms of safety, energy efficiency, alternative energy, and stricter environmental challenges. Sandvik’s automation expertise is the result of years of continuous research, development and close collaboration with our customers. Today we offer the most advanced industry solutions to optimise the performance of your fleet and mining operation. The system is future-proof and upgradeable from teleremote to single equipment automation to a full-fleet automation package with multiple equipment capability as your needs change and evolve. This genuine, industry-unique solution allows you to start your automation journey the way it best fits your needs – growing with your needs, as you can freely combine automated loaders and trucks to your system. From autonomous and connected equipment to data analysis and process optimization, we’re launching new digital solutions to help you improve safety and reduce environmental impact, while optimizing efficiency and profitability. As society emerges from fossil energy to a more efficient and sustainable source, GéoMégA believes that the future of clean energy resides in the lanthanide called neodymium. Neodymium is vital for the production of high-performance permanent-magnet motors, used in a wide variety of electrical devices. Such applications are already in increasing demand with the growth of sustainable-energy initiatives including hybrid and electric vehicles and direct-drive wind turbines. Furthermore, to develop such neodymium deposits, GéoMégA believes it makes much more investment sense to have internal rare earth processing technology and in that way avoiding sending off your concentrate to companies in China for poor returns and no global supply advantage. 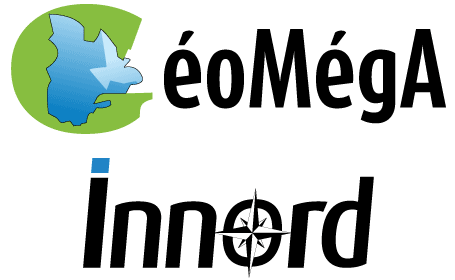 GéoMégA and its private subsidiary Innord are mineral exploration and mining processing technology companies which are focusing on the development of rare earth elements deposits in Quebec. The focus is delivering an environmentally sustainable process starting from the hydrometallurgical process to make a concentrate and all the way to separated high purity oxides. The companies have developed a low acid and low power metallurgical process for bastnaesite ore and a proprietary technology for rare earth purification that has been already demonstrated on industrial residues. GéoMégA is committed to meeting Canadian mining industry standards and distinguishing itself with its innovative engineering, stakeholder’s engagement and its dedication to local transformation benefits. Sprung Instant Structures Ltd. Located in Aldersyde, Alberta is a member of the Sprung Group of Companies, in business since 1887, which has achieved international recognition by providing over 12,000 shelter solutions for thousands of different applications in one hundred countries throughout the world. A Sprung structure is the ideal solution for structures in remote mining locations, built under rigid construction timelines with minimal foundation requirements. Sprung’s modular design and, ability to be crane-lifted, accommodate virtually any mining application. The relocatable design makes Sprung an ideal solution for the ever-changing needs at mine sites. Sprung structures adapt to changing priorities, easily expanding, reconfiguring, and dismantling for any mining need that may arise. The optional fiberglass insulation package provides a building solution that can be erected quickly for on-site offices, core sampling structures as well as safety meeting and dining facilities. Sprung structures shed snow by design and are engineered to withstand extreme wind loads. Our rust-free aluminum substructure is guaranteed for 50 years. Many mining companies prefer to lease Sprung structures for applications ranging from one month to five years. Sprung has an unmatched worldwide reputation in the mining industry. Solar Ship Inc. is a world leader in smart remote logistics. They design, build and sell electric airships, aerostats and hangars. These are fabric structures powered by renewable energy to create a logistics bridge between remote areas and the global economy. Their original mission was peace and disaster relief and they have expanded into mining, military and space industries. RockMass Technologies is streamlining and digitizing data collection in mining operations. Their technology enables improved decision making for ground control and geotechnical engineers in mines by providing accurate and real-time geotechnical data. Their flagship product automatically identifies and collects joint set measurements within seconds using their handheld LiDAR device. The Mapper allows engineers to improve the safety and efficiencies of underground and open pit mines. IBM lives at the intersection of technology and business. This enables us to impact the way the world works, and to make investments that contribute to Canada’s future competitiveness and our society at large. As one of Canada’s top 10 private R&D investors, contributing more than $478 million to Canadian research activities, we are at the forefront of transformative technology and innovation. Our leading cloud-based AI platform is being used by businesses, developers and universities around the world to fight cancer, improve classroom learning, minimize pollution, enhance agriculture and oil & gas exploration better manage financial investments and much more. Our industry specific expertise and experience helps clients leverage the power of innovation to re-imagine conventional business models and monetize their technology benefits and ROI for exponential outcomes. Rio Tinto is the largest mining and metals business operating in Canada today, with around 15,000 people working at over 35 sites and operations across the country. Our materials are essential to making modern life work. You’ll find them in smartphones, planes, cars, hospitals and throughout your home. And the strength of our partnerships – with our people, the communities we work with, the countries where we operate, our customers and suppliers – makes human progress possible. Canada is home to the global headquarters for Rio Tinto’s aluminum business and we produce some of the world’s lowest carbon aluminum here. Rio Tinto’s extensive operations in Canada include mining and manufacturing interests in alumina, aluminum, iron ore, diamonds and titanium dioxide. We also undertake exploration activities, and operate research and development centres, port and rail facilities, and technical and sales service centres, with hydroelectric facilities in British Columbia and Quebec. We are invested in Canada’s people and communities and are a trusted partner in the stewardship of its natural resources. Together we create more from what we discover, and share more from what we create.